HOCA Foundation is proud to announce a landmark exhibition exploring the adventures of global icon Tintin. The largest presentation in Hong Kong to date, it showcases 8 albums from the renowned “The Adventures of Tintin” series. The immersive experience, featuring vivid scenography, celebrates the imaginative world created by the Belgian illustrator and creator of Tintin, Hergé. 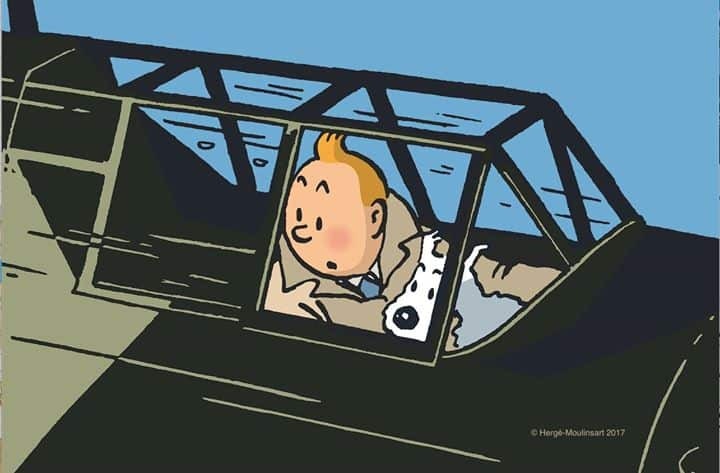 Presented in collaboration with the Hergé Museum, “THE WORLD OF TINTIN,” will run from November 17 – December 26, 2017, at the new ArtisTree, a venue sponsored by Swire Properties. A public two-day conference, as well as a series of educational comic art workshops, will run in parallel, tailored for students in collaboration with local schools. HOCA Foundation is a non-profit organization established in 2014, aimed at promoting public awareness and developing access to contemporary art in Hong Kong. With a curated series of programs across the city, HOCA will focus its attention on the younger generation of established international artists who are conceptually engaged with contemporary life and society. The curatorial strategy draws inspiration from popular culture, reappropriating or reinterpreting a wide range of mediums from animation, illustration, graffiti, and graphic design, and seeks to enhance the dialogue of “high art” within the city.